Celine’s soulful lyrics have become stock in trade for rom com break-up scenes and may leave us rolling our eyes (or reaching for the tissues; no judging here . . .). But perhaps they are so ingrained in our culture because of her plaintive statement of a truth that resonates deeply within us. Is a piece of the continent, a part of the main”. We were made for together. Sisters, we were made in God’s image, and central to His identity is community and fellowship, together. He is the triune God: God the Father, Christ the Son, and the Holy Spirit. Scripture tells us before anything else was, God was, eternally existing in fellowship with Himself. Born from this shared love, His creative heart crafted humanity, breathing His own life into us, fashioning our desire for community to mirror His own that we too might experience shared love of fellowship together with Him and others. 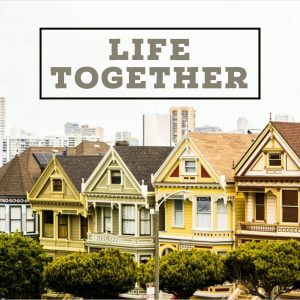 Why this emphasis on life together? In part, He knew how dangerous alone can be. When we’re alone (physically or spiritually), our problems become larger than life. We begin ignoring the provision of God Himself as we elevate our problems above His goodness. As we fixate on our struggles, we can’t begin to conceive of sharing another’s burden. Our gaze turns increasingly inward, into a deepening spiral of self-absorption, hopelessness, and paralysis. When we’re alone, the whispered lies of the enemy become the loudest sound we hear. Heads hung in shame, we find ourselves agreeing. All too soon, we’re no longer defined by the love of our Father, but by everything ugly within us. When we’re alone, we abandon our discipline. We find ourselves exhausted by the weight of carrying on in our feebleness, and after all, who will know if I don’t (insert discipline here) just this once? Here, our last tenuous tethers to life-giving habits are severed. Together, we lean into loving accountability. Our communities both seek the best for us and deserve the best from us. When we choose discipline, not only are we transformed by consistent change, but we build trust within our tribes. Together, we can put physical voice to the Word of God, drowning out the enemy’s condemnation as we remind each other of truth. When we risk vulnerability within biblical community, we encounter the awesome power of shared experience. We are reminded how life is a journey for all, and failure doesn’t disqualify us from His plan. Together, we gain perspective on our problems. We can draw on one another’s experiences, finding wisdom and guidance as we seek the Lord together. We feel the rebirth of hope, reconnect with empathy, and are energized to act on our faith in the world around us. 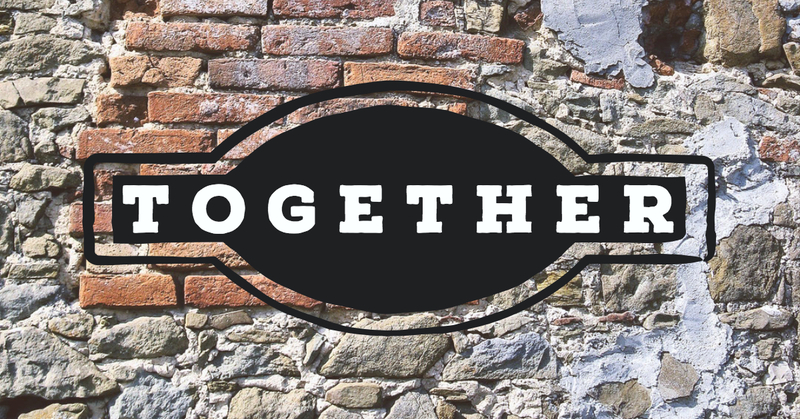 The church at Colossae excelled at together. Paul opens his letter to them with praise for the love they have for one another in the Spirit (Colossians 1:4, 8). He’d heard of their deep understanding of the hope and grace of salvation, and how it’s moved them to join their hearts together on their journey. However, they stopped short of putting feet to their faith. they see the suffering around and within them, and their hearts swell with empathy . . .
but they don’t seem to be quite sure what to do next. 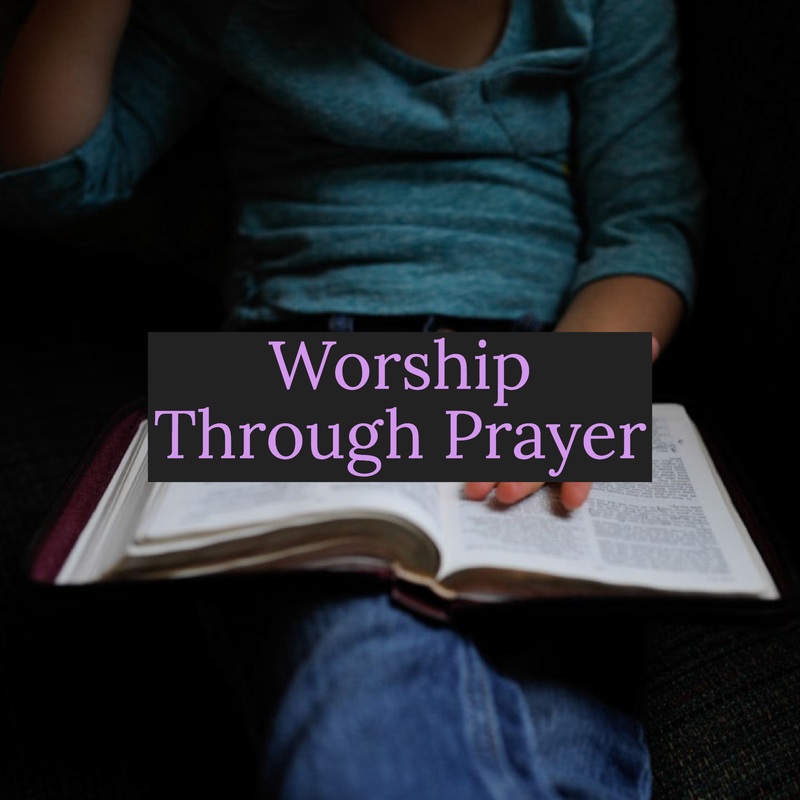 Contained within Paul’s prayer for the church are two practical ways for these believers to act, together. 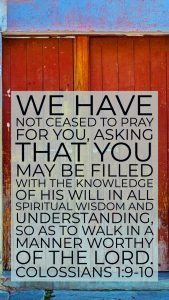 First, Paul prays the Colossians would grow in knowledge of God’s will, tempered with wisdom and understanding (Colossians 1:9). God is know-able; His word stands ready to teach us His heart! Sisters, this is God’s calling for us! What is God showing me about Himself? The Colossians were encouraged to grow rich in knowledge and understanding of the Lord. 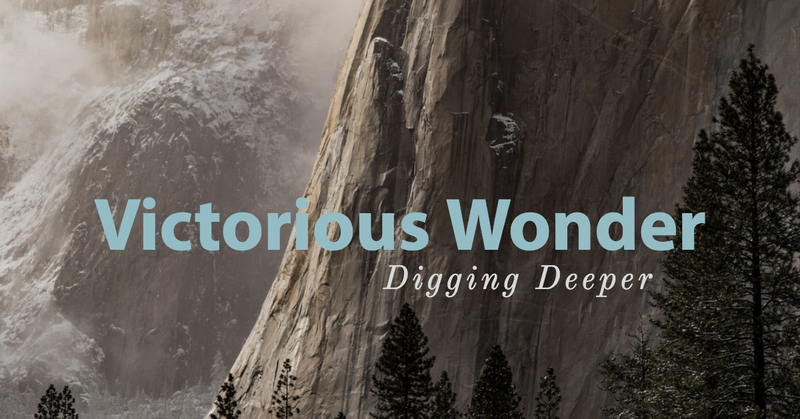 How does what we read inform our perspective of the Almighty? What is God showing me about myself and others? 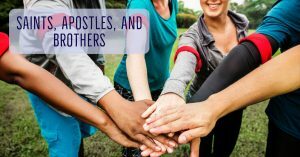 What is God’s heart for my community? What lens should I see myself and others through? How do I put feet to my faith? What are tangible, practical ways I can act on the Word and will of God, for me, for the body of Christ, and for the lost? As we are sanctified, the Bride of Christ more closely resembles her Lover and the world around us begins to touch the true heart of the Father. The kind, prodding voice called a welcome down into the inky blackness. Luke plunged his hand into the dank hole in the floor where he knew I sat below, locked inside the lower level of the Mamertine Prison under the fast-paced streets of Italy. Nero’s iron fisted rule of Rome and his bloodthirsty hatred of Christians had finally landed me here. “Prison”, up until this point, had generally meant “house arrest”. 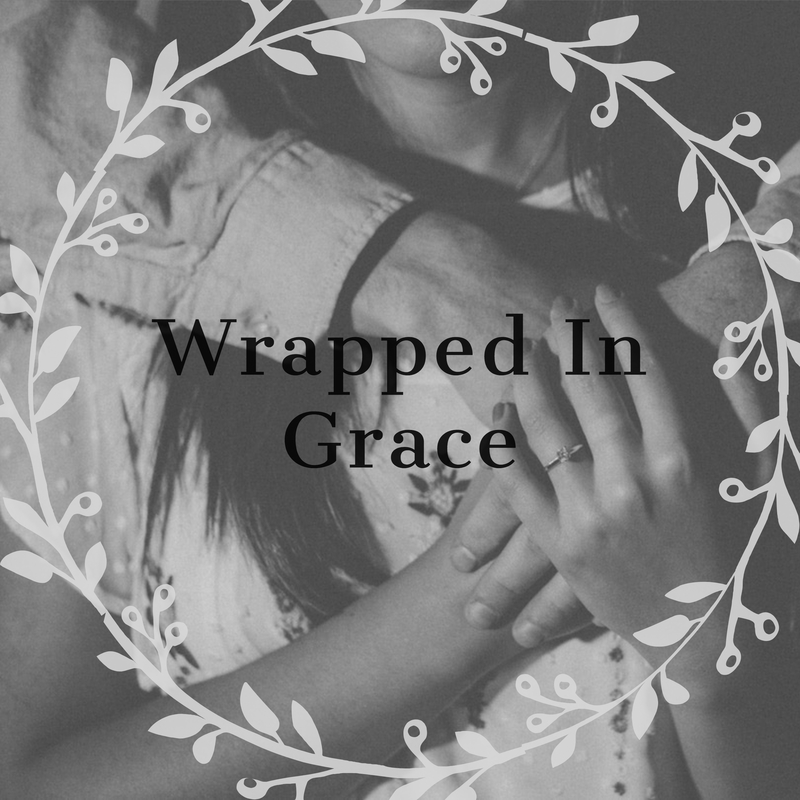 Limited mobility, and chained almost constantly to a Roman guard, but still, the Lord had granted me freedom to write and continue teaching and encouraging churches. But this prison cell was different. Marked men like me were brought here short-term, for one purpose: execution. There was that time Silas and I had been bound together in a cell. I smiled at the warmth of the memory as I stretched my hand to reach Luke’s above me. Brothers bound by the gospel. A gospel that was free despite my chains! Silas and I had sung together late into the night before the Lord had sent an earthquake to break our physical chains and free the jailer from his spiritual ones. Melodies of rich grace, the deity of Christ, and the unfathomable truth that God had come in the flesh to rescue us. “The firstborn of all creation”, Luke finished the line for me in his lighter voice and back and forth we went. Onward through the glorious mysteries of Christ we sang until we reached the refrain. The cavernous, stout room amplified our voices making us feel as if we were only 1 voice among hundreds. The hush enveloped us as words ceased. We squeezed hands and let go, fingers nearly numb as we had stretched to reach the other. We both knew the days were ending for my pilgrimage here. My tent of a body would soon lay motionless aside Ostian Road outside of Rome. For a Roman citizen like myself, crucifixion was considered too inhumane, so beheading would take my final breath. I’d known much worse suffering in the years before now. Finally, I was going Home. Home to see again the face of Jesus who had appeared to me so long ago on that road to Damascus. “I will show him how much he must suffer for the sake of My name”, Christ had told Ananias the day I became blinded. And suffer I had, but now, now I was nearly Home! 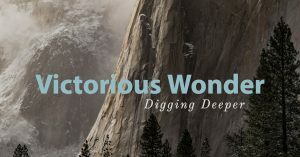 I would have done it all again for “these light and momentary troubles were achieving for me a glory that was unfathomably rich.” The life I’d lived here in the body, I had lived for Christ as I’d sought to know nothing but Christ and Him crucified. Dead to sin. Alive to Christ. And now, here I was under the streets, awaiting my final new birth. The thought of it bubbled up inside me as if I were a young man again and I couldn’t help the chortle of laughter from coming out and echoing around me. “Paul? Are you… laughing? !” Luke’s incredulous voice belayed a teasing smirk. He knew me well enough to know that of course I would be laughing. Nero thought he had me, thought he had killed the Church, but what could possibly end what the Lord had determined would be?! It was as ludicrous as saying there would be an end to the love of the Father. Outlandish! Nothing could separate us from the love of God, and I told Luke as such. The echoes hammered around us again before fading. “I will miss you, brother,” said Luke, and I heard his voice catch in the darkness above me. I reached my hand out again. 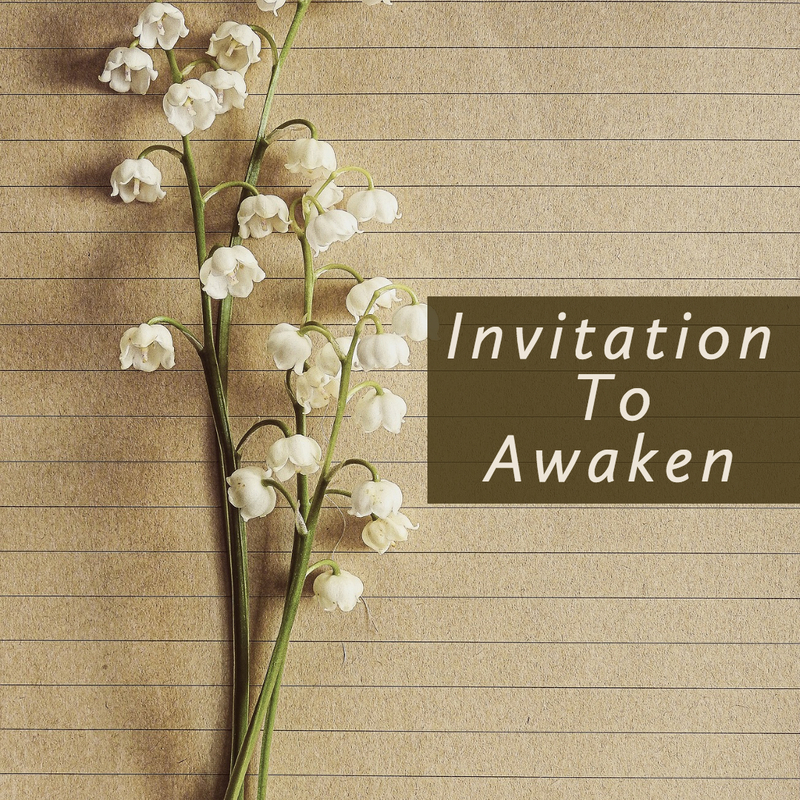 Soon I would gaze upon the glory of the Lord, waking up to endless day, the fullness of God realized in a resurrected body and renewed purposes yet unknown to me, but Luke would still be here, journeying onward. Without me. Remember that line in the letter I penned to the Philippians, Luke? How I love those brothers and sisters! Their prayers buoyed me as the Spirit strengthened me through them. “Yes, I remember,” mused Luke thoughtfully. “Deliverance….”, his voice trailing off and his thoughts drifting to a day when suffering would end. “Brother! You must keep running! Your race is not over yet, but one day it will be. 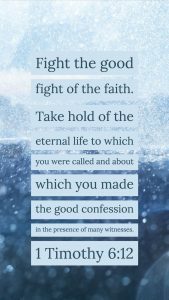 As Barnabas encouraged us often with the imagery of a ‘great cloud of witnesses’ cheering us on from glories above, be encouraged you are not alone. I felt Luke’s sadness linger, but a steadfast determination filled us both. We weren’t the first to face the temporary separation of death, or the grand welcome home awaiting us. Brother Peter had traveled Home just a few months before, spending his last days in this same cell. My heart shook for grief at the loss, but then revived nearly immediately with the knowledge I would soon see him whole and healthy as well. Home, I was almost there. In His mysterious way, the gracious Lord raised our spirits beyond the walls of my confinement, binding us together, reminding us of His mission, strengthening us for the pilgrimage ahead. The unity of His Spirit is unspeakable! We would each keep running on our journey toward Home, full of faith given by the Father. We don’t know for certain of Paul’s last days on earth, but historical tradition leaves us with a decent idea. 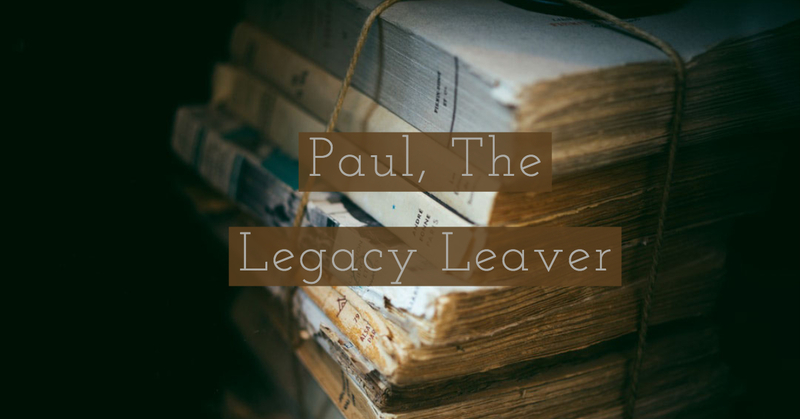 Paul was likely released from house arrest for an undetermined time and then captured again by Nero and placed in the Mamertine prison for a handful of days before execution by beheading. We don’t know if Luke was with him, but his letters to Timothy give a good indication he was. We do know for certain, Paul died a free man on his way Home. Free because who the Son sets free, is free indeed. He lived his life for Christ and encourages us, the Church, you and me as sisters, to keep running the race marked out for us, until we too are finally Home! 1) On Monday, Sara shared the difference between “Wonder Woman” and a “Wondering Woman”. How easy it is for us to pursue control in our situations and chase after our solutions rather than slow down and ask the Lord. 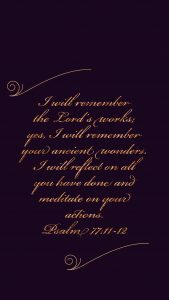 It’s a challenge to be still, sit, and dwell with the Lord on a regular basis. What would it look like in your life if you intentionally chose to regularly make time with the Lord just to be with Him? 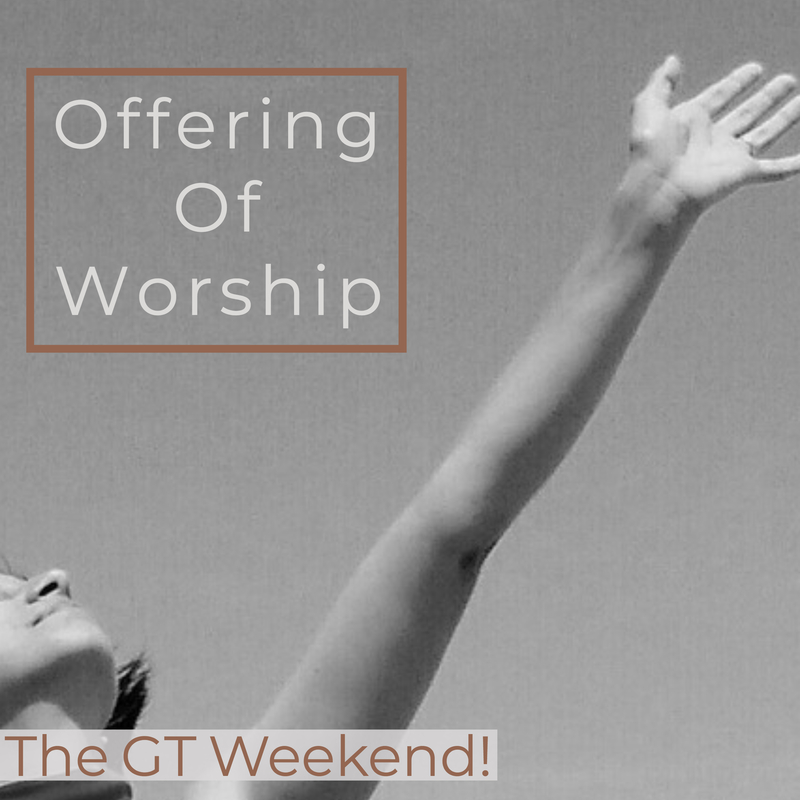 Make specific plans this weekend for how you will accomplish this over the next week and let a friend know too, asking her to hold you accountable to really dwelling with the Lord and seeking His ways instead of our own! 2) Bri Bailey wrote, ““I can’t do it anymore. It’s too big, too hard, hurts too much. I can’t.”” Can you, or have you ever, been able to relate to this? In what ways? What specific hurts brought too much pain, what burdens were simply too heavy? How have you walked through those time in the past? What would it mean to you to have a trusted refuge, someone to lift your head when you couldn’t and hold your hand when you were alone? Know that the Lord is exactly that! If you haven’t experienced that from Him, reach out! 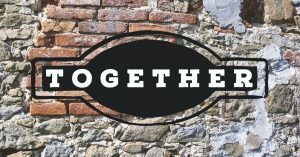 We’d love to help you connect with a local church community to help you grow deeper! 3) Yesterday, Tawnya shared some tactics she used to keep her heart and mind focused on truth despite her overwhelming circumstances. 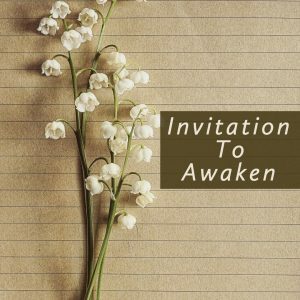 Consider using time this weekend to do the same and prepare your own heart to be awakened by truth next week instead of overwhelmed. Make some index cards to put in your purse with Scripture truths on them, make a playlist of encouraging music declaring truth to play on your phone, and select Scriptures from this week’s Journey Studies and spend time slowly reading them to wrap your heart in truth. praise him with strings and flute. Hallelujah, what a Savior You are! Your rich character is vast beyond description! 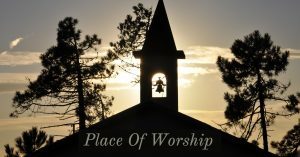 To sit here in Your presence is a gift too precious for words. Here, at Your feet, gazing at Your glory, swept up in the beauty of You, my anxieties fall away, the pressures of success fade, and my need for You is filled so sweetly. Father, to be with You, to praise You, to declare Your goodness is life-giving, but I know I so easily prioritize a million lesser “loves”, counterfeits to You. Bring these idols to my mind that I might confess them before You as You renew my soul to sing and dance for You, Mighty God!